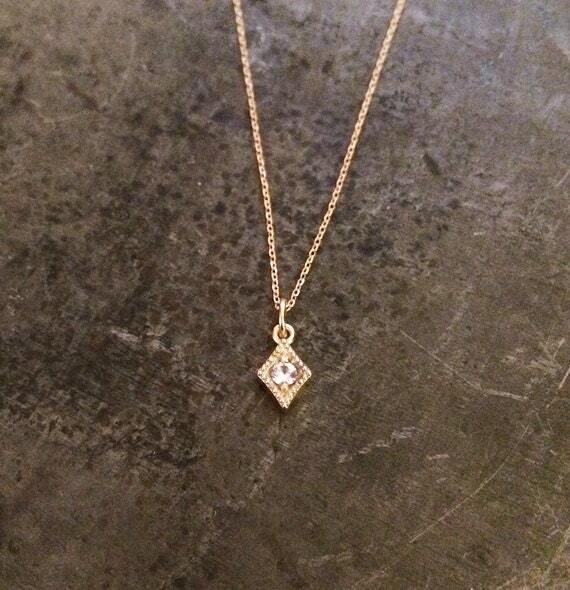 Another dainty beauty, made with a small, 2.2mm genuine white sapphire set in a diamond shaped, milgrain detailed setting. 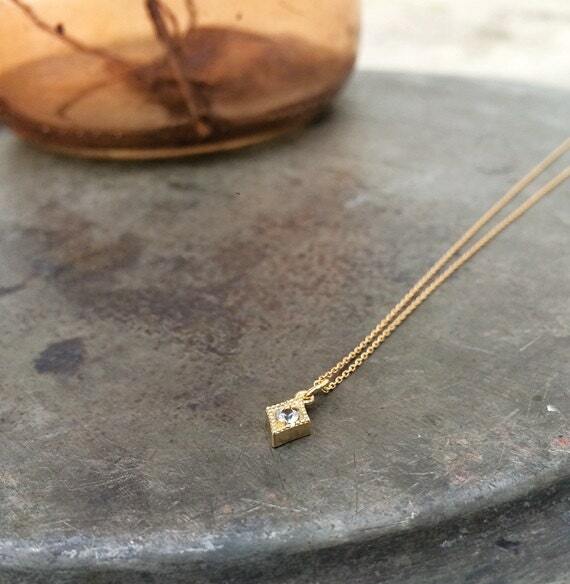 The pendant hangs on a fine 14k solid gold, diamond cut cable chain measuring .7mm in width and 16 inches in length. 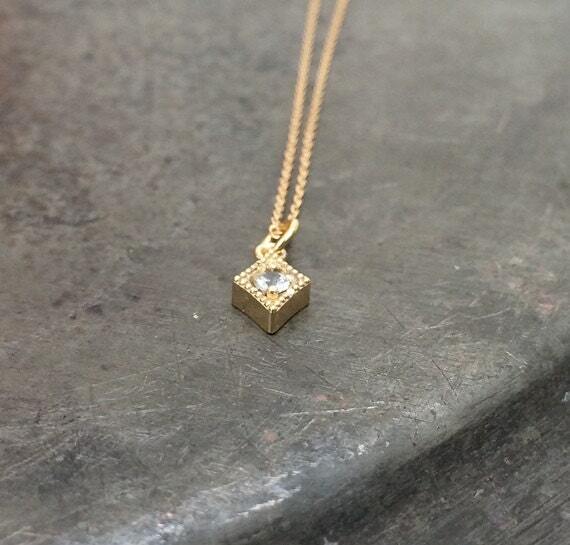 Diamond setting measures 6mm x 5mm. All pieces are made to order and take anywhere between 7-14 business days. Please let us know ahead of time if you need expedited shipping or need an order to arrive by a specific date.